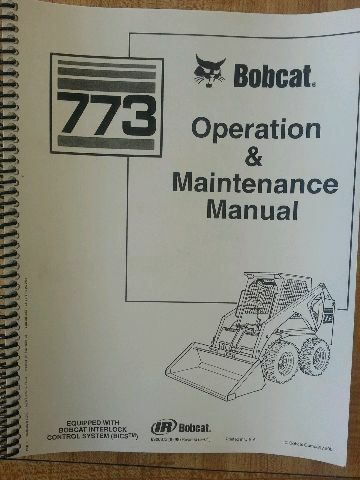 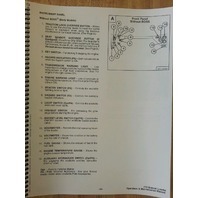 You are bidding on a New Bobcat 773 ( not G or H series...for early serial numbers) Operation & Maintenance Manual. 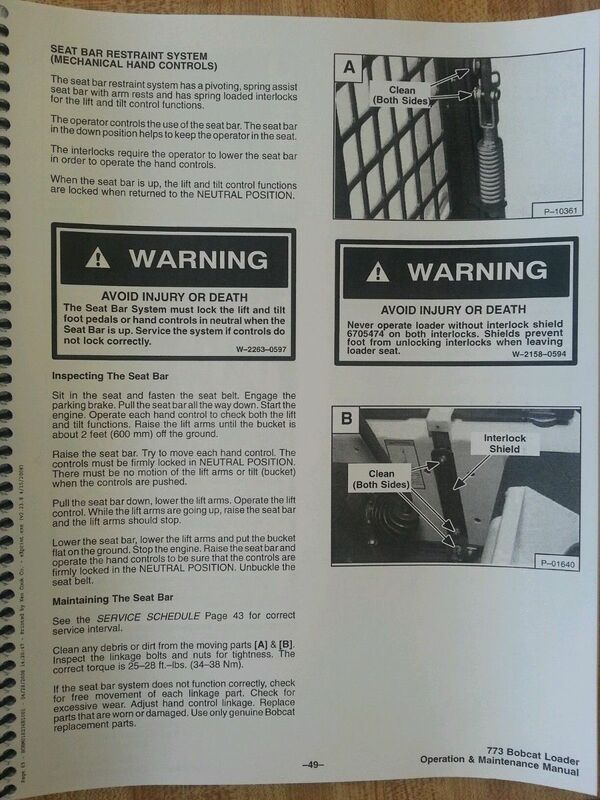 Publication # 6900372. 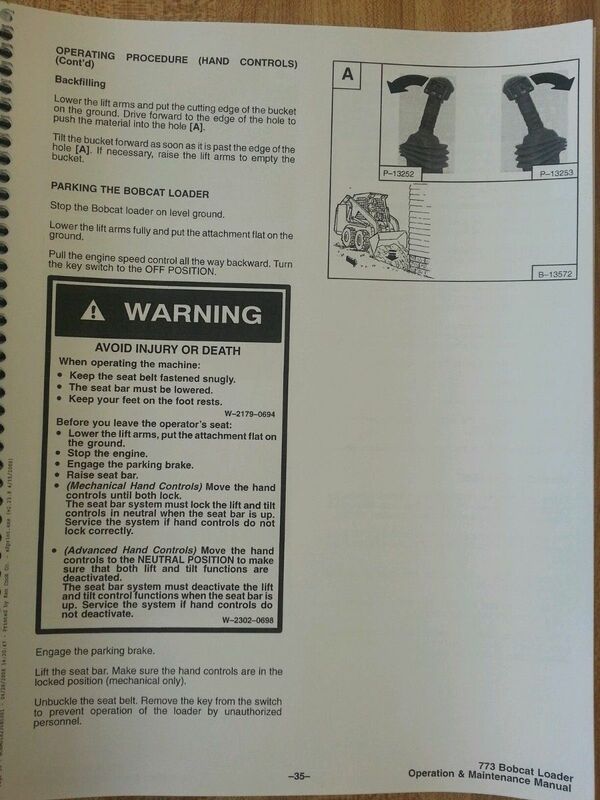 This version is on 8 1/2 x 11 in paper with comb binding so that it can lay flat on a table (or machine fender!) 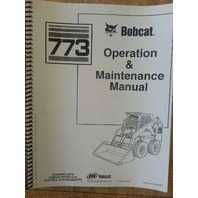 This manual contains the complete instructions on the correct operation and the routine maintenance of the Bobcat loader. 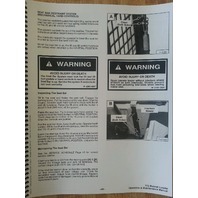 This manual will be able to answer any questions concerning the maintenance or operation you may have had or may run into. This manual will leave no question about the Bobcat 773 un-answered; it covers basically everything you need to know before operating and once you think you know everything about operating this machine, it covers how to maintain it. 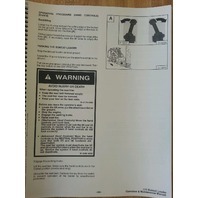 We have many other manuals available...if you have another machine I'm sure we have the manual for it. 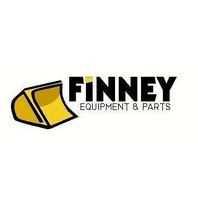 Email or call w/ any questions, TOLL FREE 866-507-2787. 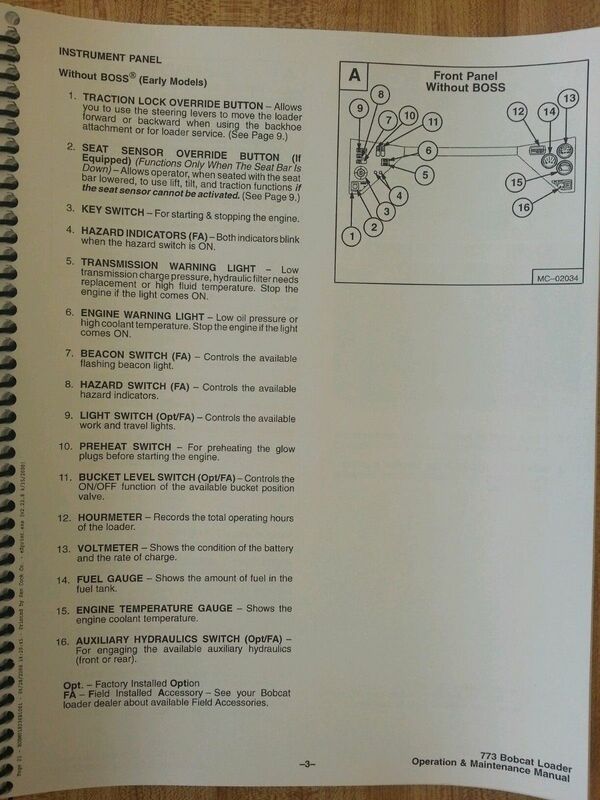 Also have parts and service manuals available.